A friend of mine recently introduced me to Younique 3D Fiber Lashes. For those of you who aren't familiar with Younique, it is an affiliate cosmetics company. My eyelashes are probably the shortest in my family. My husband, two boys and little girl all have eyelashes longer than mine. I have tried Latisse before but I thought it was kind of annoying applying it every night and it made my eyelids burn a little, I also didn't see much of a change. And once you stop using it, your eyelashes eventually return to normal. So I am always interested in hearing about something that will make my lashes longer. But that I don't have to do all the time, just when I want those longer lashes. 1. Apply a layer of your normal mascara and let it dry. Then apply the Moodstruck Transplanting Gel to your lashes. 3. Apply a second layer of the Transplanting Gel to secure the natural fibers to your lashes. Repeat with the Gel and Fibers as many times as you want until you get the desired look. When I took this picture it was after only the second time using Younique, since then I have gotten better at the application processes. 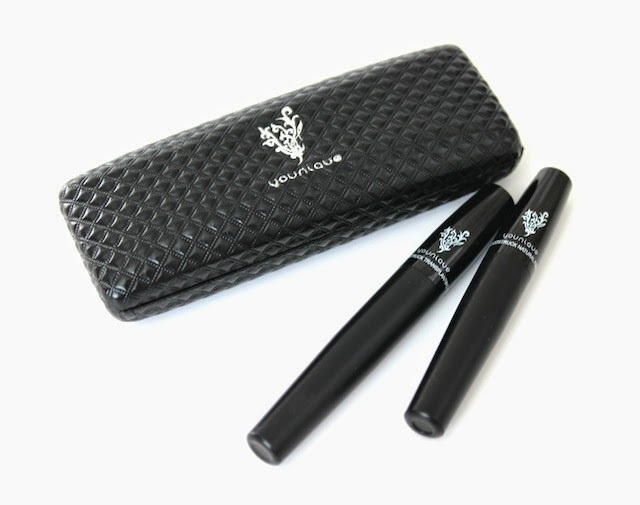 I am able to make my lashes even longer without worrying about clumping. The results are immediate and noticeable.